One of the new developments of ALYaR robotic Ltd. is the construction of the panoramic video surveillance AL system. This is the highly-technological contemporary complex, in production of which adapt the newest computer developments. The uniqueness of system consists of the possible economical operation of both the military and in civilian industry. Because one operator performs multifunctional operations without the use of additional sources, are opened great opportunities for obtaining and transmission of information. The panoramic system of surveillance AL permits implementation of monitoring for any angle of the survey at any time of day. AL provides a suite of unique products for securing enterprises and critical infrastructures, with a specific focus on detection, analysis and response to advanced and targeted threats and analyze information in greater depth and context over time and space and provide advanced detection, real-time forensics and response capabilities, while enabling minimum time for mitigation, remediation and responding to advanced. AL provides real- time forensics for fast investigation and analysis of threats and incidents and a set of response actions that assist in remediating the threats quickly and effectively. It allows detection of network anomalies, caused by malware, insider threats, remote connections, system malfunctions and operational bugs and assists the network operators to assure operational continuity. 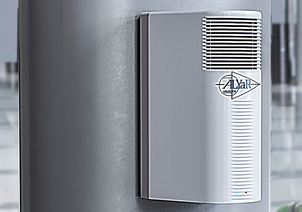 System AL provides Intelligent Security Systems with a wide range of technologies and products. The system is designed and optimized to meet customer requirements through integration of various security systems that operate effectively and efficiently to achieve a high level of security. A wide-range cameras capability dramatically enhances the performance and effectiveness. Surveillance system AL consists of a low light, high resolution camera and a thermal camera which are selective for surveillance and provides automated detection for unidentified objects. Compact laboratory AL-40 is designed for the individual order any type: the scientific, technical, test and searching, or other computer system control and protection system for use in any climates. Compact system can be installed inside of all jeeps. Police and military jeeps AL-41, AL-42. The system provides vehicle operators and crew members with an intuitive 360° real-time, with a continuous panoramic scene of the region surrounding the vehicle. 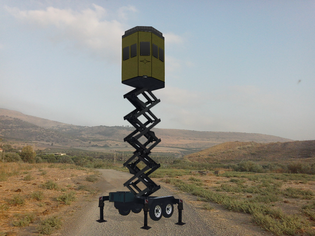 The design is an all-weather, ruggedized which can be set up on a large variety of vehicle platforms and integrated into existing battlefield management systems. The arrangement includes one external array with six cameras by diameter, a control with eight LCD displays, ad a unit optional pan, tilt a camera zooms up to a kilometer and the camera with NIR illumination. Main camera can be elevated to 7 meters high. In the resolution FULL HD video surveillance is taken away. Dependability, security, and using of newest technological solutions in an organization of military and political operations can significantly minimize the quantity of necessary operational personnel. AL-43 system is designed for research activities in natural conditions. It gives real protection from hurricanes, showers, other natural calamities, wild animal attacks. System operator is protected of explosions, fire and smokes. So, taking into account high risk, this system is an ideal solution for safe work in extreme conditions. In the resolution FULL HD video surveillance is carried out. 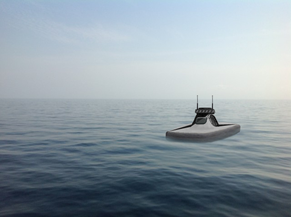 This model is of a prototype autonomous patrol boat for Homeland Security that could also be used by other agencies such as the Coast Guard and larger police waterway services for port security and protection of high object vessels. The model AL-44 as the patrol boat, comes equipped with six cameras by diameter, 360° real-time, with a continuous panoramic scene of the region which can be easily rotated. A full F.L.I.R scope system with daylight/night camera which also can be rotated independently from the remainder of the boat. 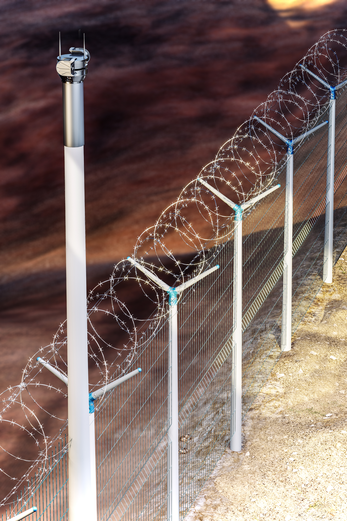 Border security protection is a significant challenge that control over large areas. Despite the significant technological advances, there is still a need for the physical placement of guard towers and observation towers along the area that has to be protected. Tower viewing AL-45 - specially designed bulletproof the cabin with air conditioning, in conjunction with a system for panoramic surveillance. Intended to monitor and control over objects for many hours. The tower in according to the highest standard to offer utmost protection for those in them. Provides tracing flexibility without any hazard to attendant’s life in the critical situations during the catch actions, in the resolution FULL HD video surveillance is taken away. 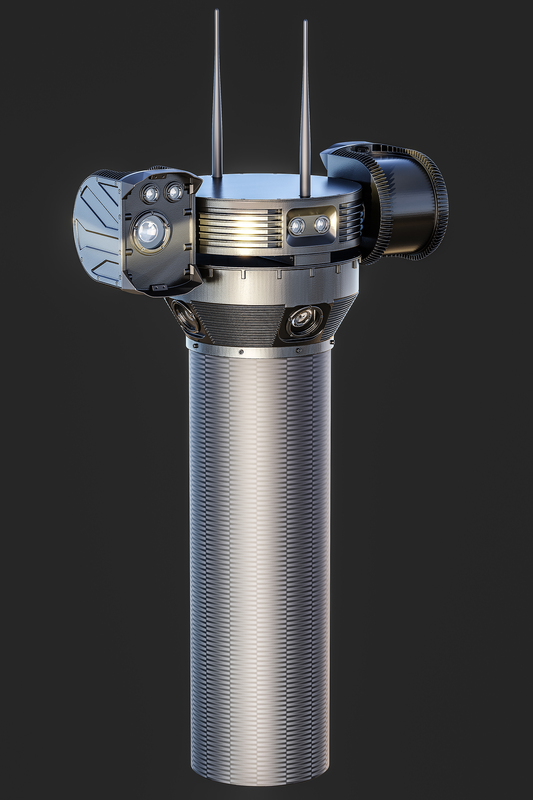 A full F.L.I.R scope system with daylight/night camera which also can be rotated independently from the rest.